The wait is, (almost) over: Dragon Quest Builders 2 finally arrives in the west on the 12th July 2019, Square Enix has confirmed. For those keeping score, that’s a good seven months after the game first released in Japan. Though nominally a sequel to 2016’s Dragon Quest Builders, DQB2 is described by Square Enix as a “completely standalone experience”. And, to be fair to the venerable old developer, it certainly sounds it. Aside from the all-new cast of typically colourful characters, expansive world, and “unlimited” building combinations, Dragon Quest Builders 2 adds online multiplayer to the formula supporting groups of up to four players. That being said, there are plenty of similarities with the first game, too. Not least in terms of the game’s overarching narrative. After washing up on the shores of the deserted Isle of Awakening, you encounter the spirited Malroth, a mysterious youth with no memory of his past. With the help of your fearless new friend, you embark on a grand adventure to gather the skills required to become a full-fledged builder, but the road you build is paved with peril. Only you can defeat the Children of Hargon, uncover the secrets of Malroth’s past, and unravel the riddles of this mysterious land. While the original Dragon Quest Builders may have looked like a Minecraft wannabe with a handful of light RPG elements tacked on, at first glance, in actuality Square Enix’s unique mash-up of two very different genres made for a surprisingly deep and enjoyable experience. One that successfully distinguished itself from the all-conquering title that inspired it. “Taking a formula made famous by Minecraft and refining it in every possible way” explained Garri Bagdasarov in the PSU review, “Dragon Quest Builders [provides] a fun and enjoyable experience”. 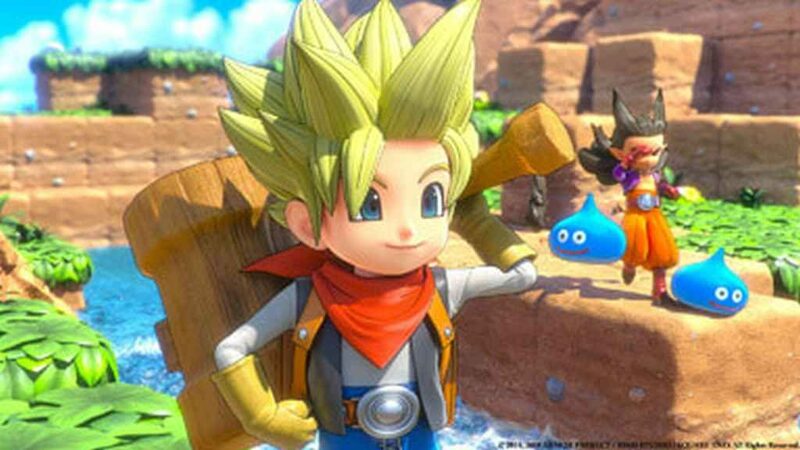 We look forward to seeing how well Dragon Quest Builders 2 stacks up to its illustrious forbear come July 12th.